This past week, many things changed in your marathon plan: first we introduced what some call speed work or intervals, which are short bursts of effort followed by a recovery time and then repeated several times. For me interval training for beginner marathoners is more about building efficiency and good form, therefore I prefer to just call them efficiency intervals. The proper way of doing these intervals is on a track or a flat trail and making sure there aren’t any interruptions so you can complete the faster portion of running without having to stop at an intersection. It’s important to note that you shouldn’t be running all-out for these intervals, just increase the effort gradually until it feels like you’re going to be out of oxygen soon and then just hold it and then slow down gradually to recover. Also, now your long run is really getting long! So plan ahead and make sure to drop water along the way or have someone meet you with water and a banana or half a peanut butter and jelly sandwich. Or make sure to have some energy gels like GU and use about 1 per hour or about 100 calories per hour. Finally, make sure to keep smiling as you cover more and more mileage in your preparation for the McAllen Marathon. 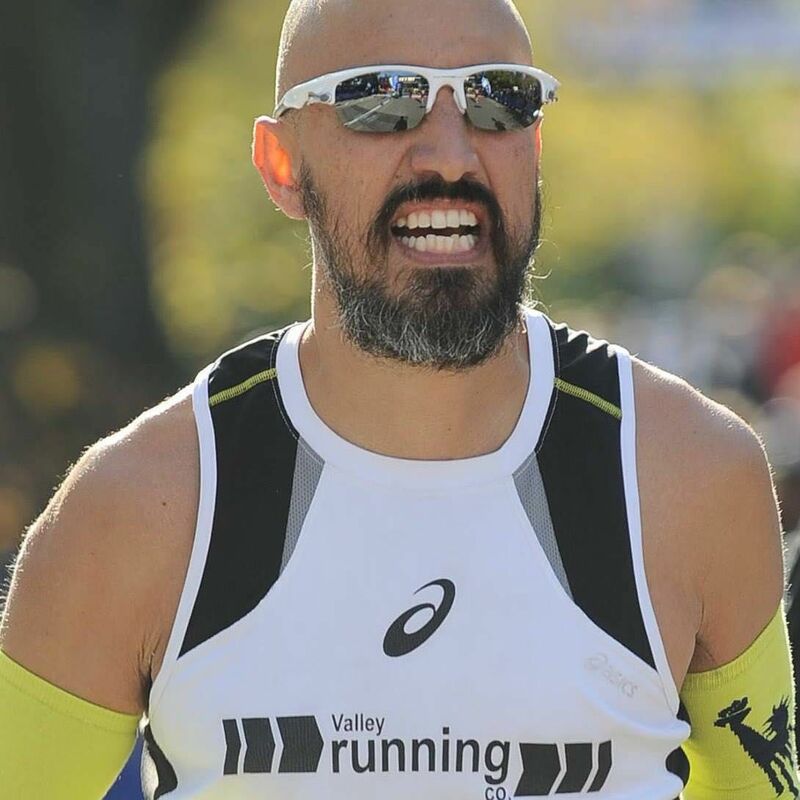 German Medrazo is cofounder of the Valley Running Company in McAllen and is a 17-time ironman, a 10-time marathoner, an ultra-marathoner and a Nordic ski marathoner. This column is for information and entertainment purposes only. Runners are strongly advised to consult with a doctor before beginning any exercise program.